CT Laser Vision at Cao Thang Eye Hospital offers laser treatments for nearsightedness (myopia), farsightedness (hyperopia), and astigmatism. Cao Thang Eye Hospital's surgeons are among the most highly-qualified and use technically advanced equipment to ensure optimum results. We offer multiple types of laser vision correction, including LASIK, LASEK (PRK), and FEMTOSECOND LASIK. After comprehensive examinations, our surgeons will discuss with you the options best suited to your eyes and lifestyle. 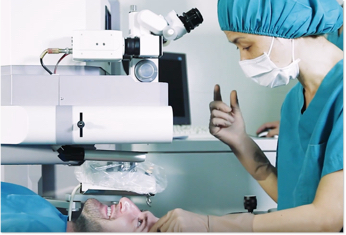 Laser-Assisted In-Situ Keratomileusis (LASIK) is a surgical procedure performed to reduce dependency on glasses or corrective lenses by treating nearsightedness, farsightedness and astigmatism. Performed on nearly 1 million patients every year, LASIK is now the most common vision correction procedure worldwide. The safety profile for LASIK is at the highest level it has ever been with the current technology. In fact, researchers have found that contact wearers are more likely to experience eye infections and develop complications that could lead to vision loss over time than LASIK patients. LASIK Laser Eye Surgery is pain-free and typically completed within 15 minutes for both eyes. The success rate of LASIK is extremely high at 96%, with most patients experiencing 20/20 vision or higher. Staying current with the latest in vision technology is important. We sources the most up-to-date equipment from Germany, Japan and the US to offer qualified candidates permanent freedom from glasses and contact lenses. 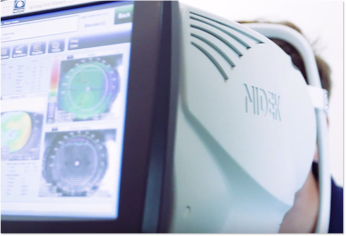 Our team is highly-trained and skilled at using the latest technology and techniques to accurately diagnose and safely treat visual related issues. 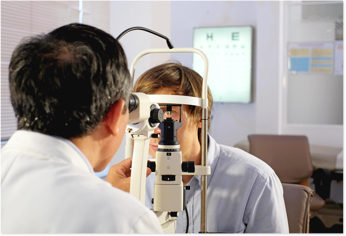 Cao Thang Eye Hospital offers specialized medical and surgical care by internationally educated and trained ophthalmologists and opticians who are qualified to deliver comprehensive eye care. Our team of image specialists, medical assistants and technicians is dedicated to offering thoughtful, professional care and working up to international standards set forth by the JCI. 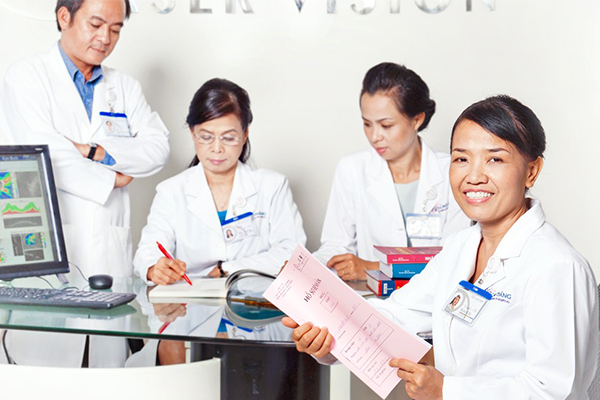 Cao Thang Eye Hospital is the only eye center in Vietnam accredited by the Joint Commission International (JCI) which works to improve patient safety and health care in the international community. 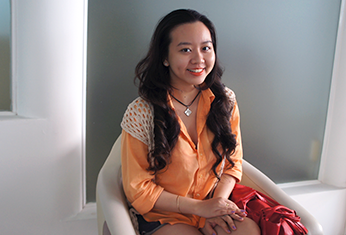 We are proud to host one of the most innovative clinics in the Vietnam and work with a team of certified physicians and nurses to provide safe, comprehensive eye care. with LASIK Laser Eye Surgery? Most patients begin to experience presbyopia, or “old-eyes,” in their 40s. You can’t prevent presbyopia even if you never had vision problems before. This occurs as the eye lens hardens naturally with age and loses the flexibility to focus on close-up objects. • Take out contact lenses at least 5 days in advance in the case of soft lenses or 3 weeks in advance in the case of rigid lenses. • No eating or drinking (except plain water) 1 hour prior to the examination since a blood sample may be taken afterwards. • Arrange to have someone else drive you or take a taxi after the examination instead. – Mapping the cornea with OPD and ORBSCAN machine. – Measuring the thickness of the cornea. – Administering the dilation medicine via eye drop. – Refraction test after dilation. – Examining the anterior and posterior segments of the eyeball. – Consulting with doctor about any proper treatments as well as predicting the outcome of the surgery. – Giving a blood sample for some clinical tests. • Take a bath 1 day before the surgery. • Wear loose-fitting, comfortable clothing that buttons rather than pullovers. • Do not wear perfume, hairspray and make-up, especially on the area around eyes. • Maintain your normal diet and be present at the time scheduled for surgical preparation. • Take any blood pressure and heart medicines as usual. • Have someone else to drive you home after the surgery. • Keep your 1 day, 1 week, 1 month, 3 month and 6 month scheduled appointments with your doctor. • Use any prescribed medicines or eye drops as directed. • Space medicines at least 5 minutes apart. • Take care of eyes as instructed by doctor or nurses. • If you feel your eyes are behaving erratically, get to hospital immediately or call your doctor with the phone number printed in the instruction letter. • Maintain your normal diet but avoid foods causing allergies. • On the day after surgery, take a lot of rest. Try to keep the eyes closed as much as possible. • Wash the hand clearly before dropping medicine into the eyes. • Do not rub the eyes after surgery (at least 1 month). • No swimming for 1 month. • No eye make-up for 2 weeks. • Use protective-glasses when going out and the eyeshield when sleeping to avoid dusty environment. Use sunglasses under bright sunlight. • During the first week after LASIK, try to keep all external fluids such as tap water or sweat from coming in contact with the eyes. Absolutely no rubbing. • Keep an appointment for the follow-up examination. And the patient should contact to doctor immediately if she/he experiences severe pain, or if the vision or the other symptoms get worse instead of better.